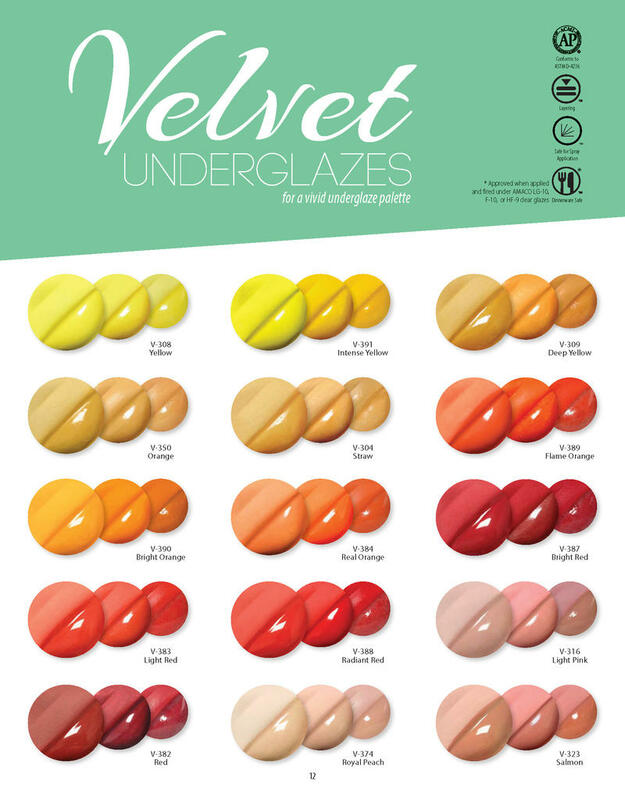 This downloadable PDF shows the results of firing the Velvet Underglazes to cone 05, 5, and 10. To shade, tint, change the color of these underglazes, simply mix them! !